We feel like we’ve had a tiny foretaste of this scene every weekday morning during the training, as our East Africa Branch offices and new, unfinished training center opened to the beautiful praise and worship singing of 48 translation students from 23 language groups, including a couple of languages from Malawi and Zambia. Some of the students were sponsored into the program by Tanzania Bible Society and Wycliffe Bible Translators in addition to our own PBT/WW (Word for the World) translation students. The students also represent extremely diverse denominational backgrounds, which testifies to the Spirit of Unity that is fostered in the Body of Christ through the Bible Translation ministry. It was exciting to see five of our new PBT missionaries that have all arrived within the last year, teaching a majority of the classes. Only one outside lecturer, a WW missionary working in Zambia, came to help in this year’s training program. It was also exciting to see previously graduated students involved in the program organization and logistics, as well as teaching some of the introductory segments to the 13 first-year students. It is most exciting to realize that this is just a crescendo in the middle of the movement as we lift our heads up from the work to look ahead to the next 10 years. God is answering our prayers regarding personnel, both expatriates and very capable nationals; three more PBT families will be arriving within the next few months, and two of the national translators are transitioning to the role of exegete. More specific training is scheduled for current and potential exegetes for a week at the end of September. Our first literacy personnel have arrived on the field too; in addition to teaching the literacy component in our translators’ training these last few weeks, these personnel will be conducting our first literacy workshop in early 2010 to begin training literacy workers. 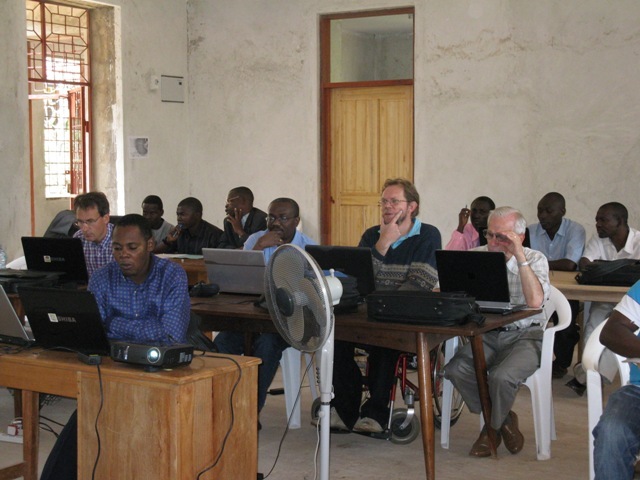 In the nearer future, the coming two weeks will see our training center busy with the consultant checking of Acts in eight of the Morogoro Cluster languages, with three consultants coming from South Africa through our WW partnership. 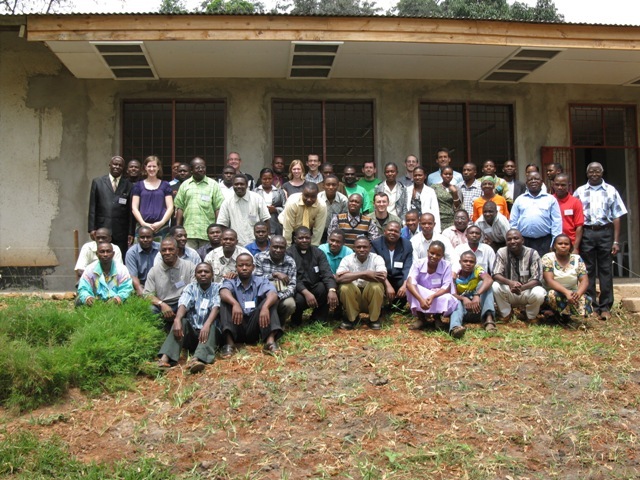 After this consultation and the ensuing corrections, ten languages will have 60% of the New Testament consultant checked and approved for publication; this work being accomplished in just the last five years with only three PBT (USA) missionaries and three WW (South Africa and Zambia) missionaries working on the field for at least four of the last five years. Obviously, these few missionaries aren’t doing all the work; we’ve been blessed with a continuous flow of timely and quality short-term and temporary personnel who’ve assisted for anywhere from three months to two years, and other high quality consultants and teachers who’ve donated their time and talents to training up the tremendous team of nationals that are vital to what God is orchestrating. God is also providing the financial and prayer resources through you and others like you. Sometimes we received the necessary financial commitments for salaries, training sessions, or consultations only a matter of a few weeks before the necessary expenses; it wasn’t very long ago that we were discussing cancelling this year’s training due to lack of funds! But our PBT President said, "Don’t Cancel, we’ll find the money for you," and they did. 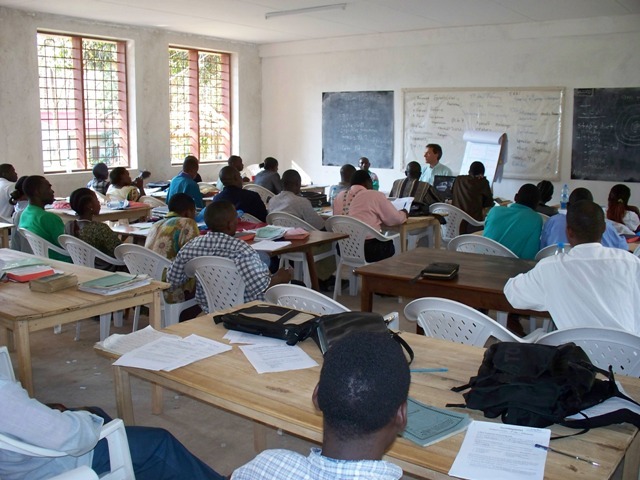 And we are praising God as well for a commitment just received last week from a funding organization to significantly assist in getting the 10-13 Morogoro Cluster languages to completion of the New Testaments over the next four years. With this commitment, we’ve been able to increase the stipends this month of our very dedicated national translators and exegetes who have worked so hard, and sacrificed so much to make the progress that has been made over the last five years. It also allows us to relax a little more as we prepare for our upcoming furlough. Plans have been made to get the Jesus Film into more of the Morogoro Cluster languages; thus our Scripture Impact team will be able to grow in the number of tools and personnel. Our new literacy programs will focus on literacy as a means of evangelism. Many people will be exposed to God’s Word as the translators take translated scripture portions out to the communities to test their translations. We’ve already heard many life-changing stories, and look forward to even more as God’s Word promises that it will not return void. Our ultimate goal is not having vernacular Bibles printed and sitting in boxes or on shelves, but to have people reading and listening to God’s Word, and sharing God’s Word with their neighbors so that lives, communities and countries are transformed for Christ. Every missionary, every short-term assistant, every volunteer, every national translator, every consultant, every teacher, every prayer, every encouraging word and every dollar has been important and necessary to get these translation projects to this point. Just as no part of the Body is less important than any other part (2 Cor. 12), no contribution to the work you have made here is less important than anyone else’s! God has put together the donations of prayer, time, talent, and finances, both big and small, to orchestrate His work here. Thank you for contributing your gifts to the orchestra; God is combining it all into one of His beautiful pieces of handiwork! I can’t wait to see what He will orchestrate in the next 10 years as the momentum continues mounting here in East Africa, and what our roles will be. We look forward to sharing more with you sometime during our furlough (Nov ‘09-June ’10). If you have specific dates/events you’d like us to attend, please let us know through our Fowarding Agent.